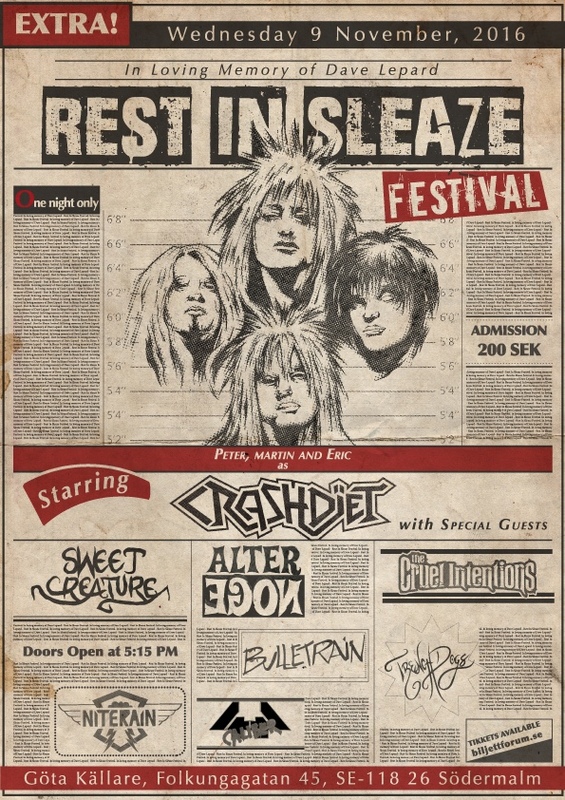 In memory of Dave Lepard we have decided to participate in the last edition of the Rest In Sleaze Festival , held by Dave's mom Lisbeth. We will perform as a trio with some very special guests! Additionally, Peter London and Martin Sweet will perform with their side projects Alter Egon and Sweet Creature.